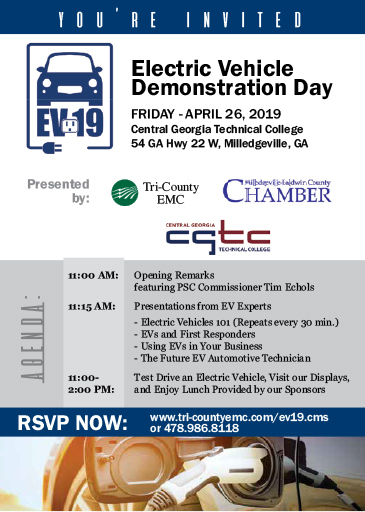 Please join us for EV19, an electric vehicle demonstration day scheduled for Friday, April 26 at Central Georgia Technical College in Milledgeville. Attendees will hear the latest information on electric vehicles (EV) from industry experts and have the chance to test drive an EV. Please RSVP here or by phone at 478.986.8118.